The announcement of the Distinguished Warfare Medal — nicknamed ‘The Drone Medal’ for its likelihood to go to remote pilots — came as quite a shock to many in the military.Most current and former military folks seemed to take issue with its precedence, with the award being ranked higher than a Bronze Star but lower than the Silver Star, the nation’s third-highest award. Under no circumstance should a medal that is designed to honour a pilot, that is controlling a drone via remote control, thousands of miles away from the theatre of operation, rank above a medal that involves a soldier being in the line of fire on the ground. This is an injustice to those who have served and risked their lives and this should not be allowed to move forward as planned. “The decision has been made,” Juliet Beyler, acting director for Officer and Enlisted Personnel Management at the defence Department, said during a telephone discussion Wednesday with reporters. She said there has been no opposition at the highest levels of the Pentagon to the new medal. It had the backing of the entire Joint Chiefs of Staff and defence Secretary Leon Panetta. The response to queries by Business Insider was overall one of disappointment in the new medal, yet even those who defended it conceded on the placement. “Before criticising drone pilots, one should become educated on what they actually do … I support any awards for drone pilots,” said Nicholas Albino, an airman with 10 years of service. But later he conceded that the placement above the Bronze Star was ill conceived. The Bronze Star is typically given for heroism “in the face” of the enemy, but since its introduction in 1944, it has also been authorised for meritorious service. 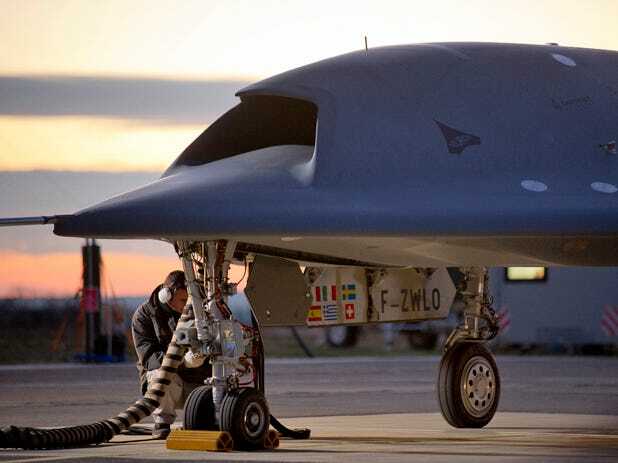 Aside from the mostly uniform negative response in the military community, some have asserted to Business Insider that any of the military’s existing meritorious service awards would suffice for outstanding drone or cyber operators.